Dr. Le-Nguyen is experienced in advanced glaucoma care and offers the latest medical, laser, and surgical options for patients, including selective laser trabeculoplasty (SLT), micro-invasive glaucoma surgery (such as the Istent, Xen, and GATT), traditional trabeculectomy, and glaucoma drainage implant surgery. She also manages complex cataracts and offers a variety of customizable cataract surgery options including toric lenses for astigmatism correction, multifocal lenses, and more! Dr. Le-Nguyen completed her ophthalmology residency training at world-renowned New York Eye and Ear Infirmary. Upon completion of her residency, she undertook a fellowship in the medical and surgical treatment of glaucoma at Cizik Eye Center at the University of Texas, Houston. Additionally, she attended top institutions for her undergraduate and medical degrees. She received her B.S. in Biology at Yale University and M.D. from Johns Hopkins Medical School. Dr. Le-Nguyen is published in ophthalmology literature and has presented at multiple ophthalmology conferences. Dr. Thanh-Vi Nguyen (pronounced “Win”) has been serving the eye-care needs for residents of the Coachella Valley since 2010. In October of 2012, she opened her own private office in La Quinta, CA. 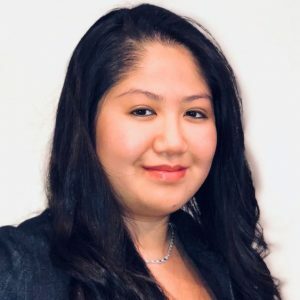 Dr. Nguyen’s commitment to quality and thorough eye care stems from her education at the University of California, Berkeley School of Optometry and her residency training at Baltimore Veterans Affairs Hospital. Her special interests include fitting specialty contact lenses (lenses for keratoconus, irregular corneas, bifocal/multifocal gas permeable lenses), advance treatment for dry eye, and corneal refractive therapy for myopia control. In her spare time, she enjoys riding her road bike with her husband and hiking the many beautiful trails of the Coachella Valley. You may run into her up the Palm Springs Tramway as she enjoys the breathtaking views and peaceful quietness of the wilderness. Dr. Xu Shao Huang has been serving the eye-care needs of Coachella Valley residents since 2008. An esteemed group of Optometrists recognized for their academic achievements. Manager/Optician Justin Thomas began his career in the optical industry in 2002 in the Coachella Valley working at Lenscrafters in Palm Desert. After a few years, Justin moved to Davantes, now known as Optica, in Rancho Mirage where he worked with high-end fashion eye-wear. When he moved to New York, Justin continued to follow his passion for eye-wear by returning to work for Lenscrafters in downtown Manhattan. His dedication to guests and attention to detail led to his rapid promotion into management. When Justin returned to the Palm Desert Lenscrafters, he was promoted to the sales supervisor and after a few months, he received an offer to manage his own corporate optical in Indio, CA. After a year managing the optical and working periodically with Dr. Nguyen, Justin joined her at her private practice in La Quinta. Ophthalmic Assistant A native to the Coachella Valley, Becky studied Administrative Medical Assistant at the Milan Institute in Indio where she realized her desire to help people in the medical field. As someone who already spends a lot of time doing volunteer work in her community, she was a natural fit to Dr. Nguyen’s team. With her great sense of fashion Becky will find the perfect pair of glasses and sunglasses that will go perfectly with your style.